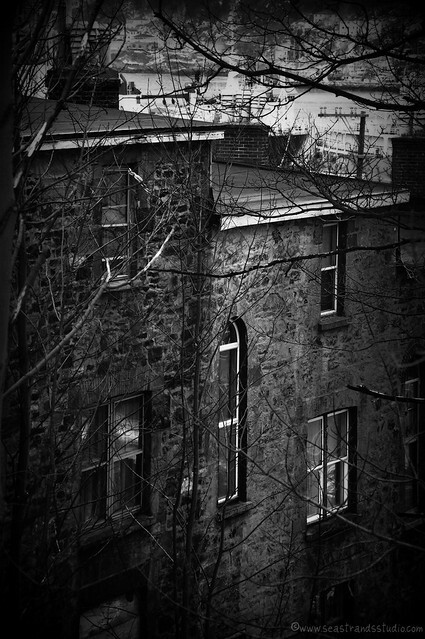 There are four houses in St. John’s called the Temperance Street Houses (or Samuel Garrett Houses, depending on whom you ask) that were built by Garrett as wedding gifts for his four daughters. They were lovely structures, built of stone left over from the construction of Cabot Tower and a local hospital that had been obliterated by flame. I drive, run or walk by these houses pretty often, since they’re right next to Devon House (wherein resides the Craft Council of Newfoundland & Labrador) and they’re also just at the foot of Signal Hill, which is a either lovely walk or a challenging run, depending on the speed at which you approach it. Due to my habitual routes, I more often look at the backs of them (as depicted in this photo) than the fronts. The houses are in horribly sad states now. Windows are bashed out and have been covered in with cardboard. Doors are boarded over. 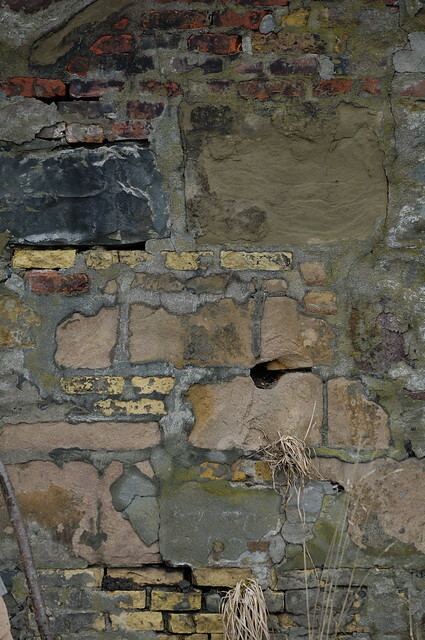 The stonework is beginning to crumble and there are gaping holes in the sides of the houses, some with things growing in them. Despite all of this, these elegant old ladies have retained their dignity. I just hope that someone who loves what they were and can be, someone who doesn’t want to change them into some slick and modern condo monstrosity, comes into their lives soon. They could use the modern equivalent of a “gentleman suitor” (be that person male or female).